The irreplaceable role of narrative in generating meaning inspires Ricoeur to develop an ingenious concept of narrative identity. 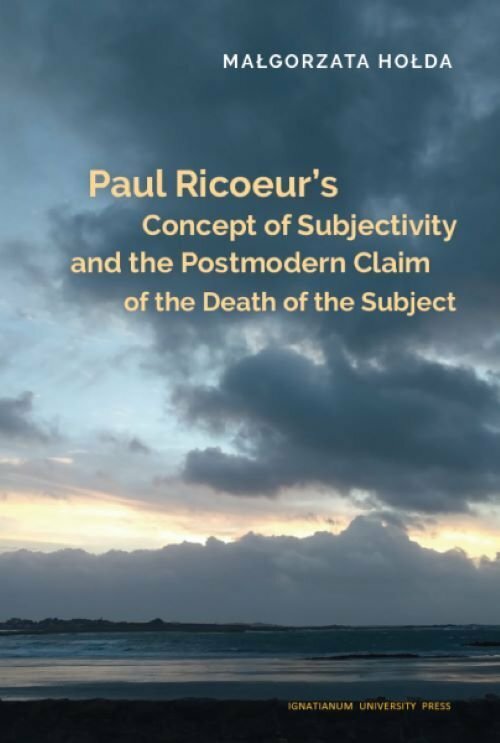 The inclusion of issues such as mutuality of vulnerability and indebtedness demonstrates that Ricoeur s hermeneutics of the self is not an illusory theory in the vein of the postmodern vacillating or dissolving contours of subjectivity, but a philosophy rooted in praxis, extensively drawing on the tradition of phronetic wisdom. Dr. Holda juxtaposes the consequential interconnection between memory, history, and subjectivity in postmodernity with Ricoeur s reflection on the interweaving aspects of memory, history, recognition, and reconciliation. She successfully enters into a conversation on the death of the subject in postmodern philosophy and effectively addresses the issues of narrative identity, which seem to be crucial for multiple philosophical discourses on the understanding of the human being in the world. One of the virtues of Holda s book has to do with the angle or perspective from which she approaches Ricoeur, drawing him into dialogue with a current of twentieth-century French thought that is at once immediately related to his own intellectual development and yet all too often neglected in the secondary literature on Ricoeur s work.